How much should you spend on digital marketing? TLDR; Email, Social, Display Ads, Mobile and Search are all growing in 2016. 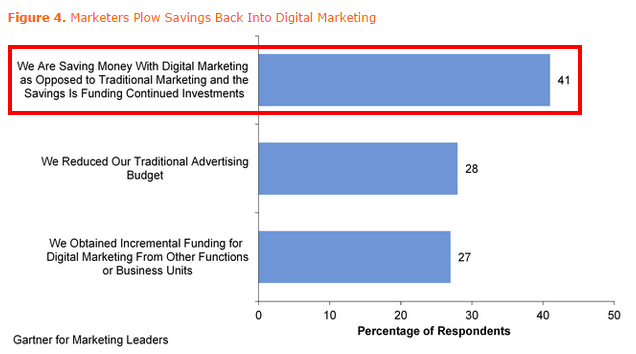 Digital is now at $75,000 a year, or 35% of all marketing spend on average for companies. Companies are shifting more and more money to digital because of it’s perceive R.O.I., and the ability to spend less for more return. Companies are asking an important question. What is the right allocation for digital digital marketing spend of total marketing and advertising budgets and how should it be spent. The answer depends on the type of business and the target market. 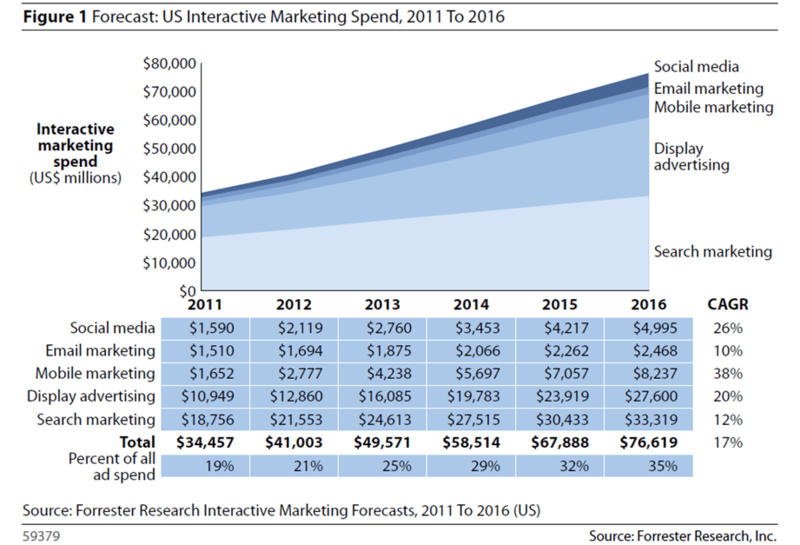 A couple of important things to note about how marketing spends are growing in 2016. 35% of marketing spend for all companies is now online, up from 19% in 2011. But for e-Commerce companies, B2C, or the growing number of businesses who depend on gaining customers online of course the budget is much closer to 100%, and the overall percentage is watered down by some industries. Check out why we insist on having fun at work, Snap’s ‘Work ethic in digital marketing,’ and our Web Design & SEO Services to help you have success in driving traffic and conversions. Once again, these are an average of many types of company, so any company that relies on digital for a significant part of their business would skew much higher on this scale. Marketing funds are ultimately allocated much by the competition in the market, the nature of the business, and how different types of target demographics behave through the buying funnel. Here are a couple specific industries and their current percentage of budget spent online in 2013 – clearly these numbers have likely evolved at a similar rate over the last couple years. If it grew at the same rate as the overall trend they would be about 10% up from where they were. (Building and construction and retail at 70% digital, Health and beauty around 65% and Real estate at 60%. 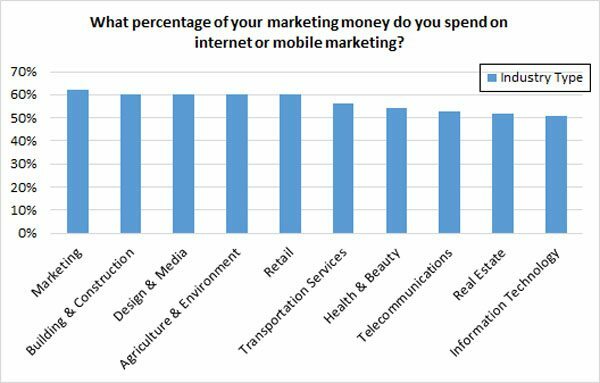 What percentage are specific industries spending for digital marketing? What budgets are you growing or shrinking for specific digital marketing tactics? 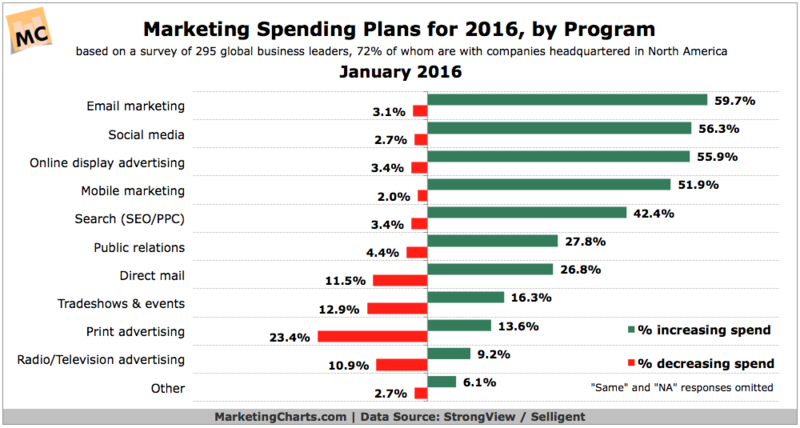 Surveyed business leaders shared about what budgets they would be growing in 2016 with research group Marketing Charts. Not surprisingly, the biggest decreases centered around the analog arts such as Direct mail, events, print advertising and radio and TV ads. As the attention spectrum shifts more and more to our screens we see the shift in the where the money is going. Display ads: Google’s ad product dominates the market but there are more and more avenues for PPC and visual ads online and people are clicking. Mobile marketing: An umbrella category for any marketing category that centers on a mobile device. A Pew survey shows 68 percent of adults in America now own a cell-phone. Search: Search engine marketing, Search engine optimization and everything that can be found when looked for is becoming ubiquitous and increasingly important with content marketing being at the center of the new methods for getting found and getting customers. So what do marketers feel about their R.O.I. for digital marketing efforts? 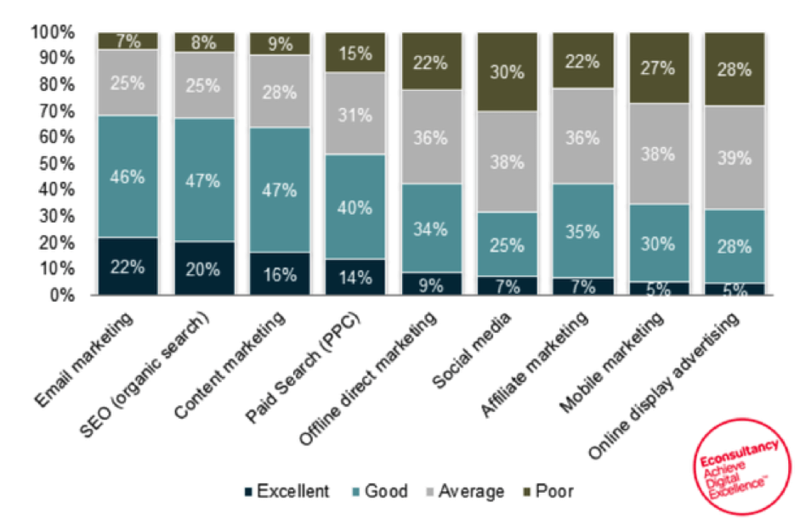 Digital marketing efforts have a varied perceived R.O.I. for companies, and according to E-Consultancy the most beloved methods for paying them back are E-mail, SEO, Content Marketing and Paid Search. Why are people spending more money on digital marketing? Digital marketing seems to be making quite an impression on those comparing it to the older mediums of getting the message out through advertising. Online marketing budgets are growing partly because companies are seeing money saved and greater R.O.I. through E-mail, SEO, Content Marketing and Paid Search.